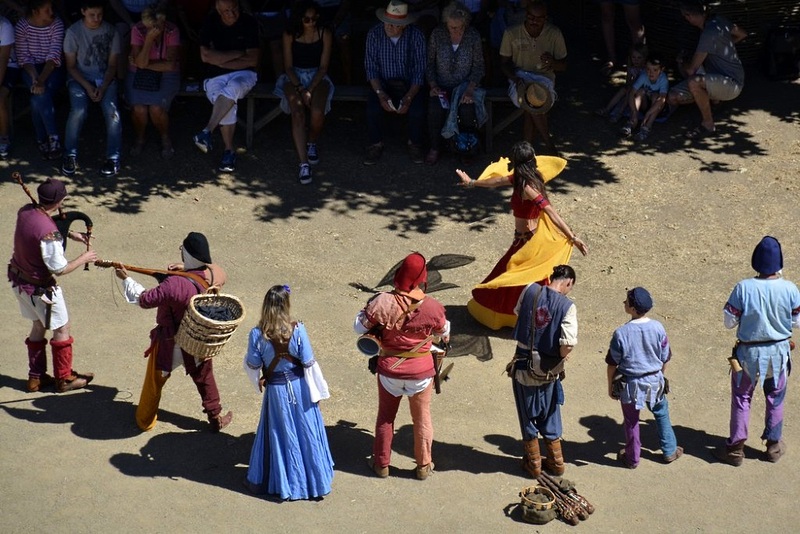 Offering wildlife, tropical flora, ancient windmills and medieval history, old customs, and many outdoor activities, the Vendée is a place the entire family will want to explore. Superb vacationing – The Vendée pleases the eye, feels good on the skin, and with evidence of civilization from prehistoric times onward, chances are you'll encounter something amazing around every corner. Because of this, the Vendée was prominently showcased in the 2018 Tour de France. The local cycling team, Direct Energie, proudly represented the area. For four wonderful days, the Vendée was front and center on the world stage and tourists flocked to experience the event and the area. Summer and winter – Certainly, even after the leaves fall from the trees and many castles close for winter, there is no shortage of things to do. With the largest forest in France nearby, the racing bike is exchanged for a mountain bike. Ocean swims become languid walks on pristine beaches along the Atlantic coast. City trips and Loire Valley chateaux are nearby no matter what the time of the year, and time spent with family is always precious. Welcome to the Vendée! First of all, one can hardly mention the weather without stirring up controversy, but ask any local, native or transplanted soul in the Vendée and he or she will not hesitate to claim the weather here is the best in France. Because Vendéen weather patterns are heavily influenced by the Atlantic ocean on the west and southwestern borders there are nearly 2000 sunshine hours annually with average high temperatures of around 20°C (68°F). Winters are cool, while autumn and spring seasons are mild. As a result, the landscape is fertile and green for most of the year, though summers are typically hot and dry. Thanks to this lovely micro-climate, tourism and agriculture are the main sources of income. Fauna and flora are rich and varied. Tropical varieties of trees, shrubs and flowers including palms, oleander, mimosa, magnolia, and hibiscus—plants found in holiday spots like Spain, Crete, U.S. states such as Florida and California, and in the Caribbean—thrive in the sunshine. This verdant bounty, mixed with the traditional terracotta rooftops that give south-western France its luster, evokes a vacation mood at first sight. While the Vendée is ideal for couples who prefer tranquility over city trips, it is just as perfect for family reunions. 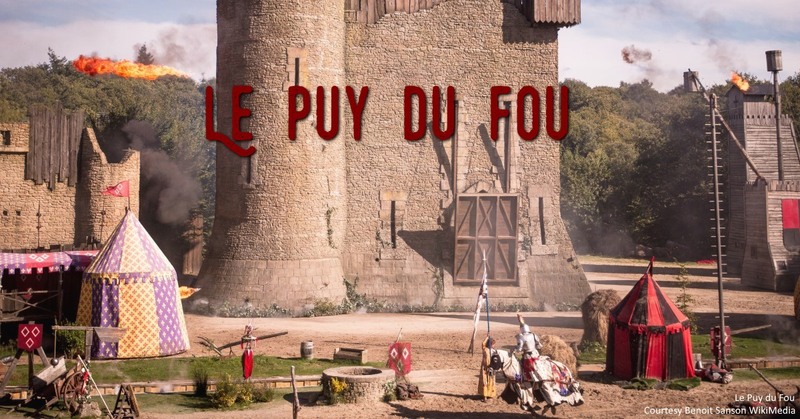 Water-parks, zoos, and go-karting tracks are aplenty, but it is renowned, award-winning medieval theme park Le Puy du Fou that attracts millions of visitors every year (some 2.26 mil in 2017.) Its evening event, La Cinéscénie, is the world’s largest show! 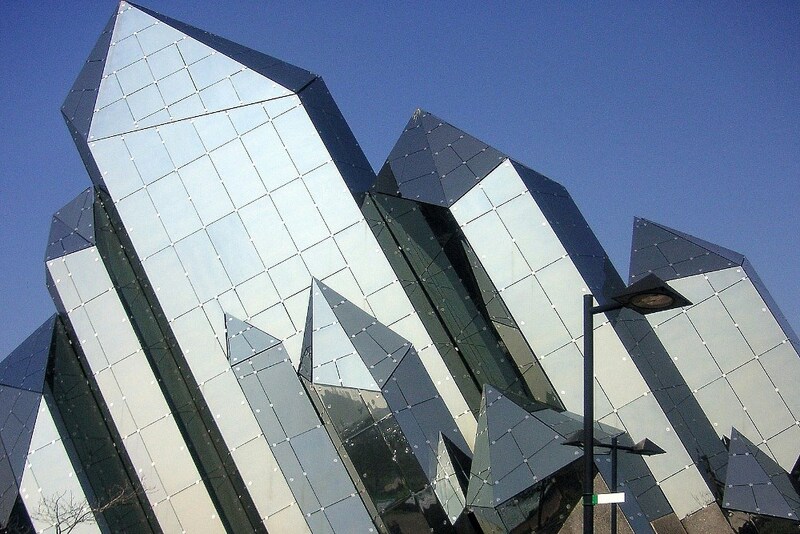 Additionally, the amusement park Futuroscope (34 mil visitors since its opening in 1987) is located nearby, in Poitiers. While Puy du Fou depicts history across the ages, Futuroscope is -according to their website, "a theme park based on mankind’s greatest dreams". So, families who like to spend time together immersed in nature and history find the Vendée a rich playground. From water sports to horse riding, to salt mining and a variety of other leisure activities, there is a lot to do. The Vendée is perfect for a holiday filled with adventure and learning. 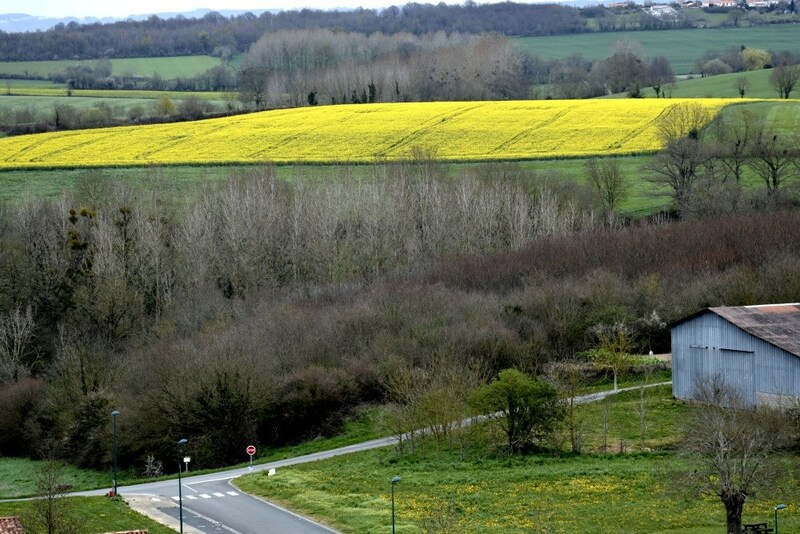 From a bird's-eye view, the green and sloping hills of the Vendéen countryside (le bocage) are edged to the south by the Marais-Poitevin, vast marshlands created by Benedictine monks many centuries ago; and to the west by more than 200 kilometers (120 miles) of coastline. 160 km of golden sandy beaches are as inviting for summer reading as they are for invigorating winter walking. Furthermore, each of the nearby islands supplies its own history and charm. Located in the Bay of Biscay is Noirmoutier, accessible at low tide via the famous Passage du Gois causeway. 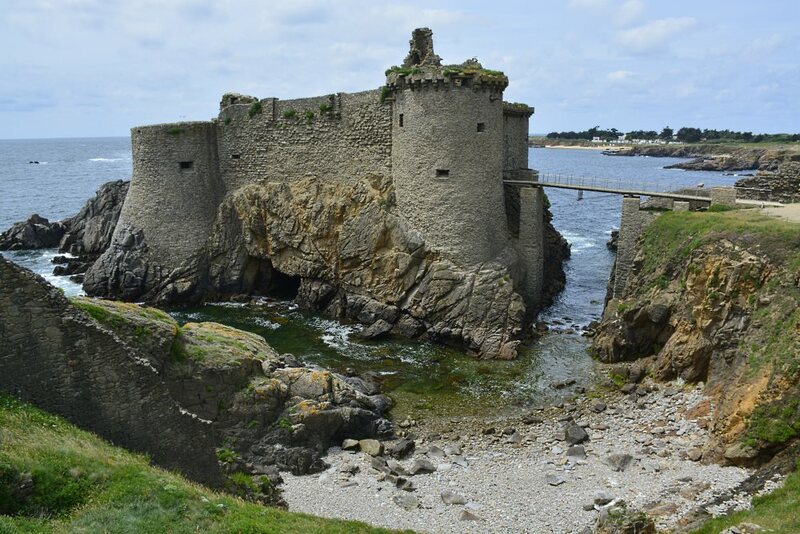 Ile d’Yeu, situated around 100 km off the coast and reachable only by ferry, is reminiscent of any Greek island. Similarly, the beautiful Ile de Ré, and Ile d'Oléron, beckon with towering platters of seafood, quaint villages and tiny ports. Even more, thousands of well-marked footpaths, signposted cycling routes, fishing lakes and rivers, and also La forêt de Mervent-Vouvant, the largest forested area in France await your adventurous spirit. The Vendéen countryside is rich with lively bird habitats and wildlife such as wild boars, hedgehogs, frogs... even crayfish in the ditches. Noteworthy are the night skies where, unhindered by light pollution, the Milky-Way is the star of the show. It is accompanied by the tunes of owls, nightingales and fox cries. With easy access south to Spain, Portugal, the Pyrenees or the Mediterranean; north to Brittany, Normandy, Paris, Belgium and the Netherlands; and east to the UK or Ireland, the Vendée is a perfect stop-over point. Because tranquility and rest as well as sightseeing are key features, the area is an ideal spot to add to any travel itinerary. A range of excellent facilities is available to holidaymakers with caravan or camper-van. Certainly, caravaners who spend summers or winters in Spain find it convenient to store their mobile homes-away-from-home in the Vendée. It is a smart way to save on ferry transportation costs as well as toll. If your preferred way to travel across France is by motorcycle, there are bed and breakfasts or campgrounds where bikers are welcome and even offer covered parking for the bikes. The Vendée is voted second best in France for quality of life, right behind the Provence. But the tranquil surroundings with easy access to cities, beaches and islands are not the only reasons the area is popular among locals, vacationers, and expats. Actually, this south-western corner of Pays de la Loire is quite affordable. Accommodations are available at any price-range, restaurant meals are inexpensive and delicious; and the real estate market is plump with affordable fixer-uppers as well as renovated homes. the Vendée, boasts top-notch sightseeing, many outdoor activities, a lovely countryside where nature and history live in perfect harmony; offers 160 kilometers of beautiful beaches, and fantastic photography opportunities for those who prefer to take it all in through the lens. Stop by on a journey north, south, east or west and stay awhile. You and your family are invited, and you're welcome!